Honestly, I can’t look at the title of this post without hearing my little brothers sing that silly song about beans. We didn’t grow up eating beans. The funny thing is, though, that after I stopped eating meat after college, I naturally started craving them. 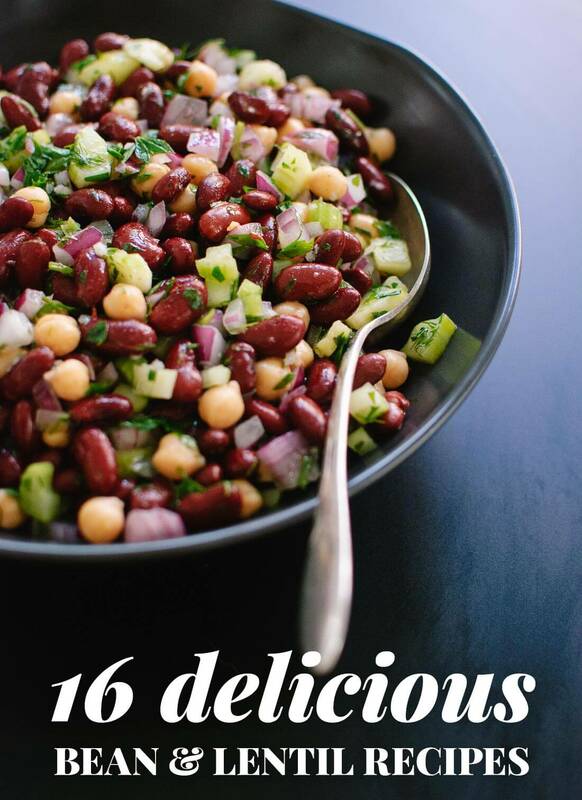 I quickly discovered that beans are hearty, satisfying, rich in protein and fiber, and gloriously inexpensive. Now that I’ve gotten on the bean bandwagon, my family has, too. Victory! 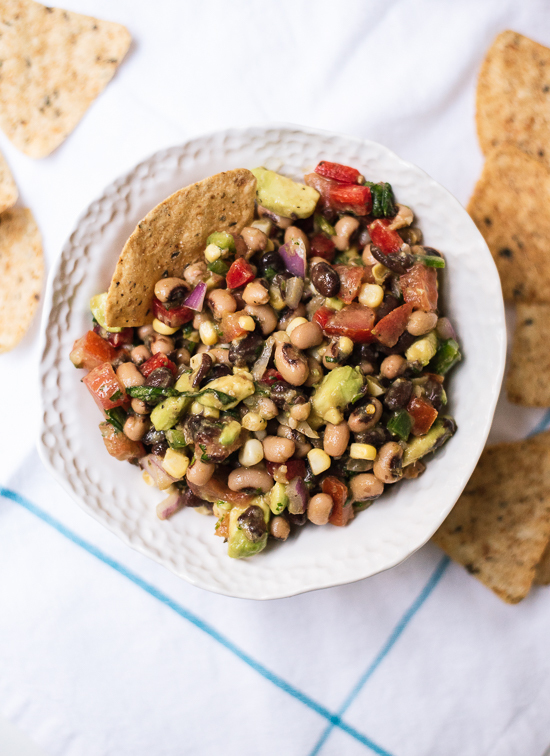 The United Nations has declared 2016 the International Year of Pulses (pulses are dried legumes like beans, chickpeas and lentils), so you’ll be hearing a lot more about beans over the coming months. 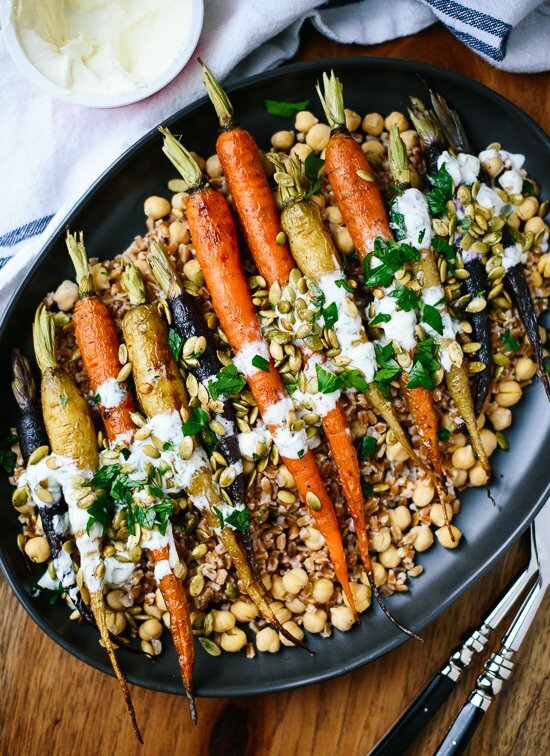 I’ve teamed up with the USA Dry Pea and Lentil Council to bring you more recipes with pulses this year. 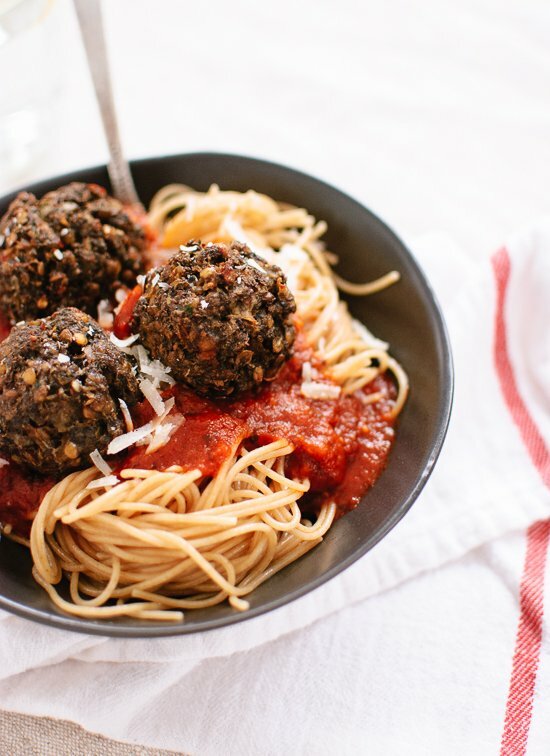 Let’s kick it off with some of my favorite recipes! Below, you’ll find a wide variety of hearty meals with Mexican, Mediterranean and Italian influences. 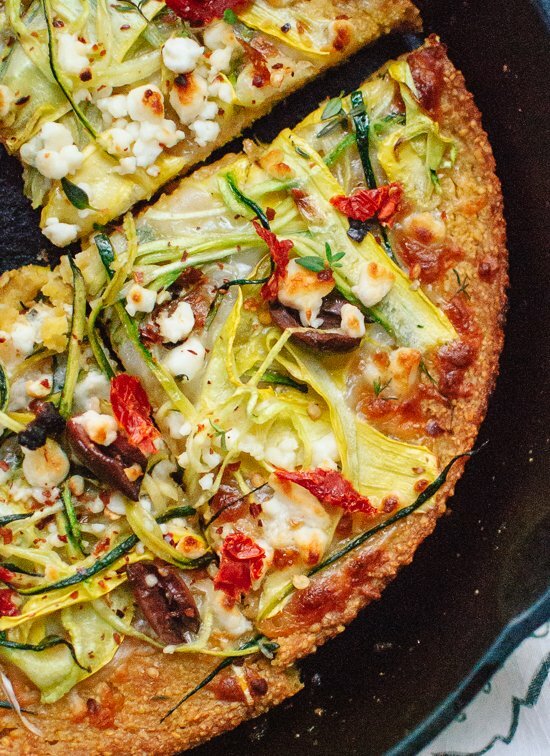 These are all recipes that will help you meet those healthy New Years resolutions, and they just might change your family’s opinion on meatless meals, too. 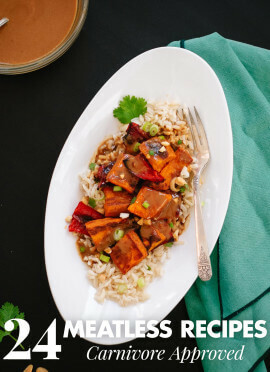 For more information about the benefits of pulses and to join me in signing their Pulse Pledge (which is committing to eat one serving of pulses every week), visit PulsePledge.com. 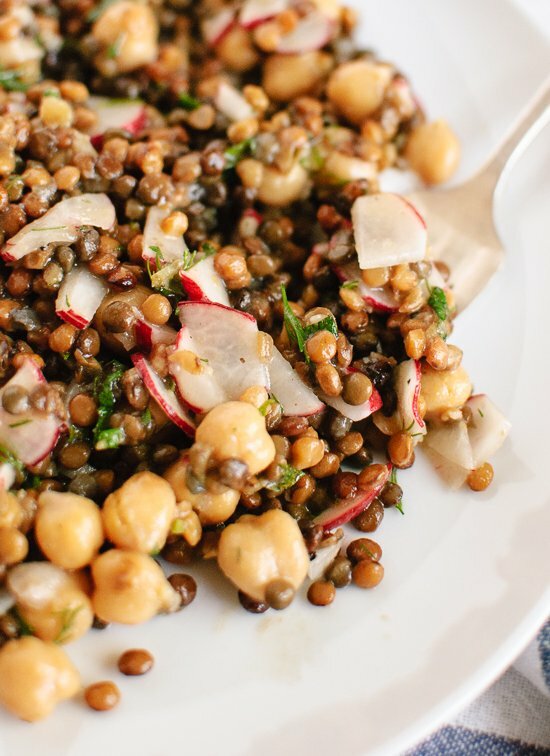 This post was created in partnership with the USA Dried Peas and Lentils Council. Opinions are my own, always. Thank you for supporting the sponsors who support C+K! That’s it!!! going home to soak some beans for tomorow’s dinner!! thanks for the yummy ideas always!! 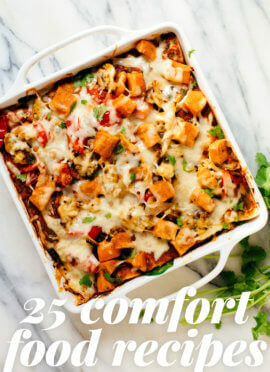 Wow Kate, I am not a vegan or even a vegetarian(though I love veggies and beans) but these recipes look fantastic. I cannot wait to try them. Will get back to you with my results. Thanks for helping to start my New Year on a healthy track. Hope it is a good one for you and Cookie. Thank you so much, Susanna! Please do let me know. Happy New Year to you, too! 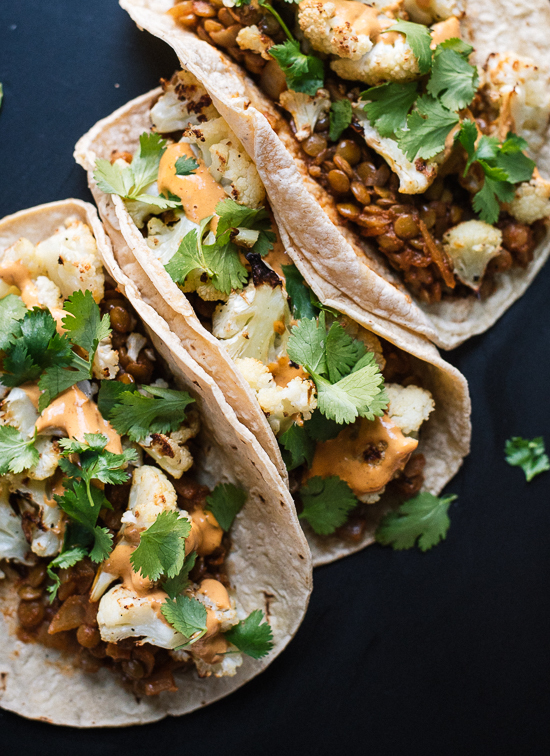 The cauliflower and lentil tacos look amazing. I love it when you put together resources like this for your readers. Thanks for this! 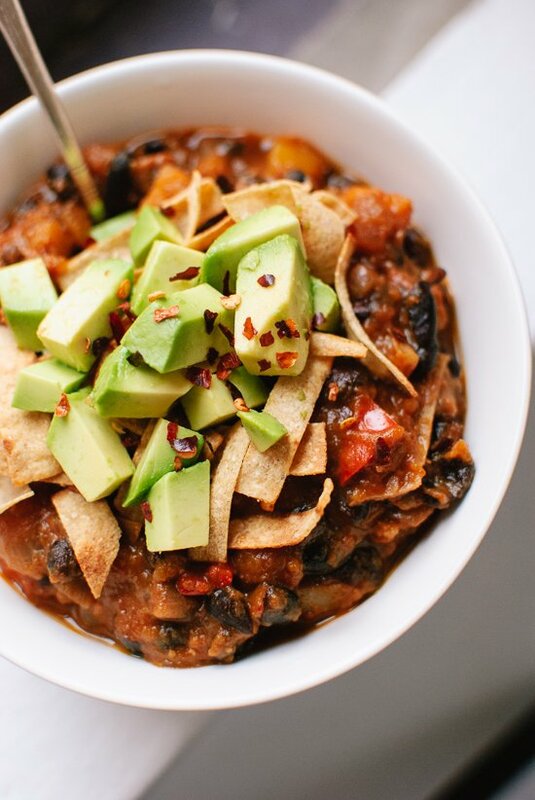 I am moving toward more plant-based proteins and your recipes make it super easy! Thank you, Samantha! Happy to hear it! 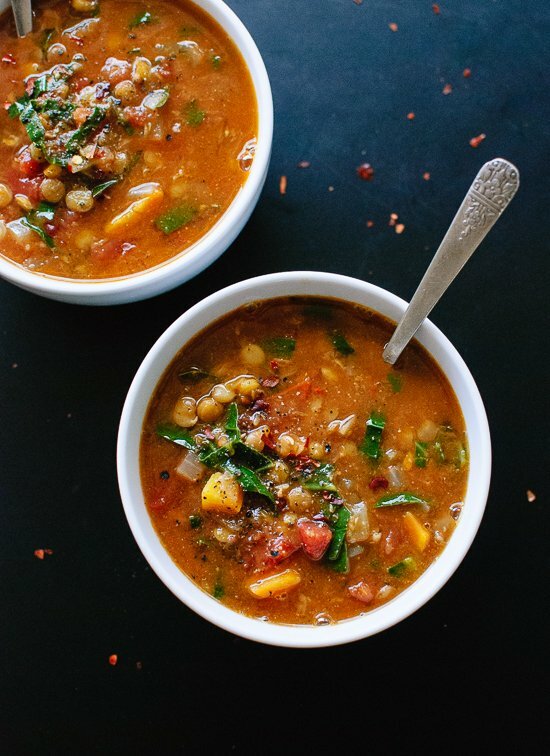 Great round up, I had some amazing lentil soup the other day and other ways to use lentils has been in the back of my mind since then. The Pulse Pledge is asking for only one serving a week!? It would be a difficult task to get me down to one per week! 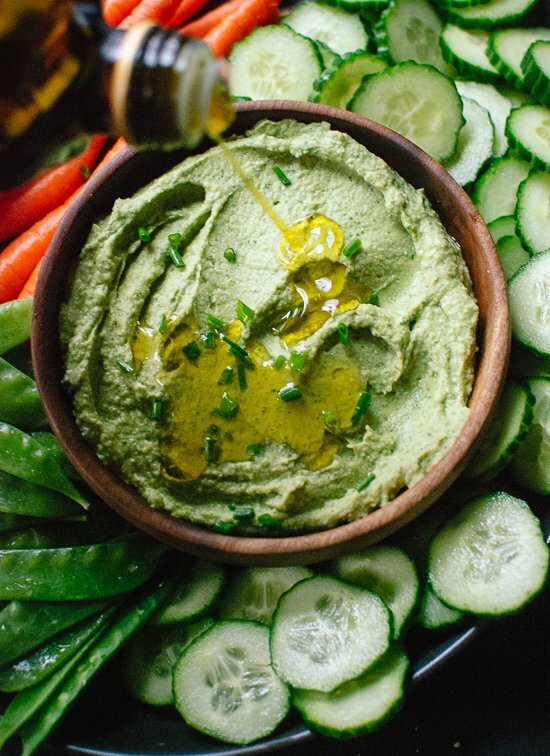 I need a giant tub of that green goddess hummus in my fridge, now!! 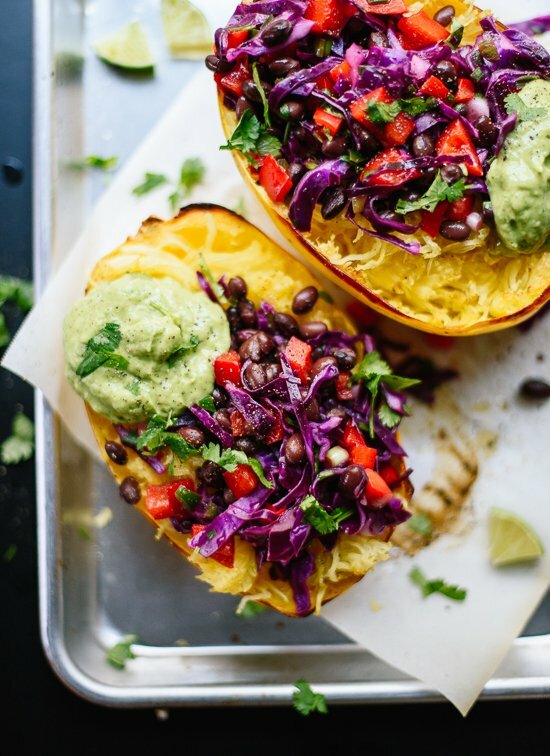 LOVE the spaghetti squash burrito bowl idea! 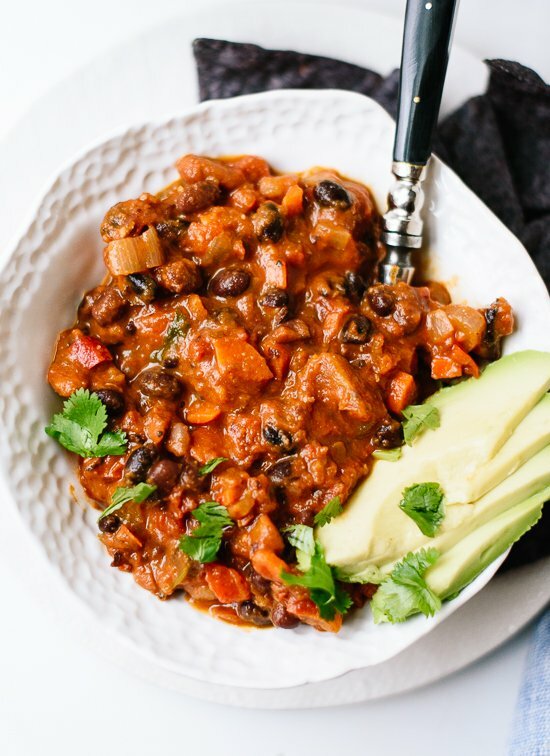 Beans and lentils are our go-to– soups, dips, chilis– they are so affordable and delicious and filling. They pack so well for lunch too. Can’t wait to try some of these new variations. Last year I invested in an electric high pressure cooker. 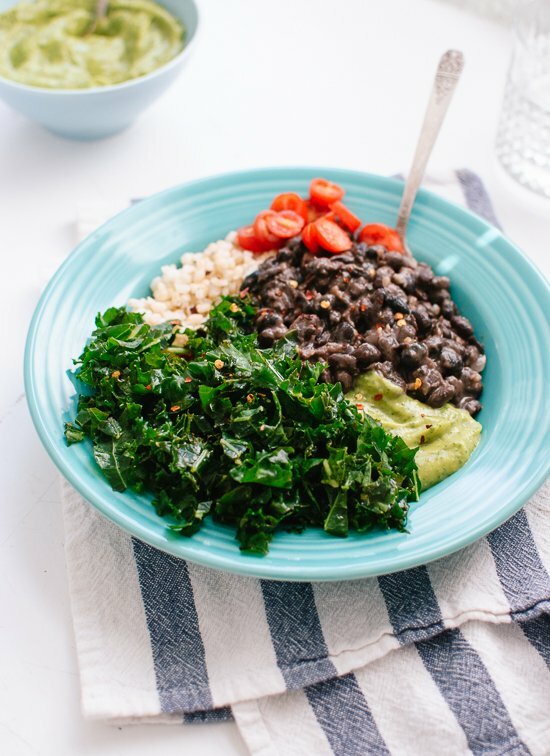 It cooks up dry beans in about 45 minutes – saving me so much precious time and money. And NO soaking! 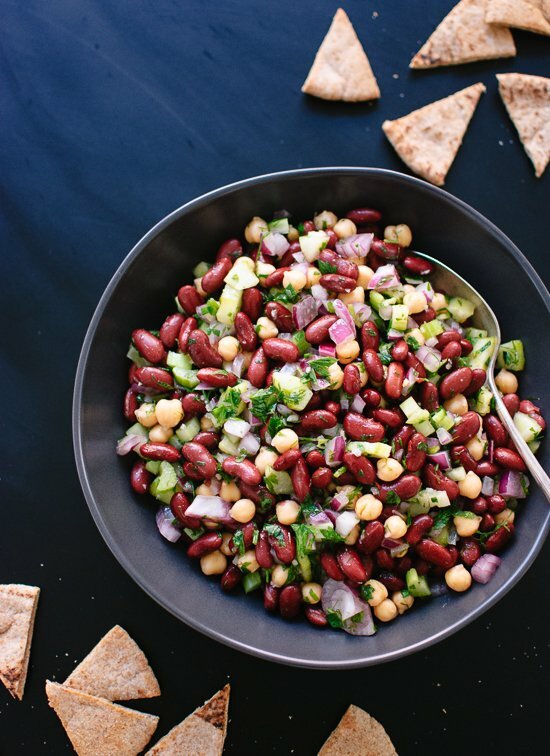 Bring on the year of the Pulses! 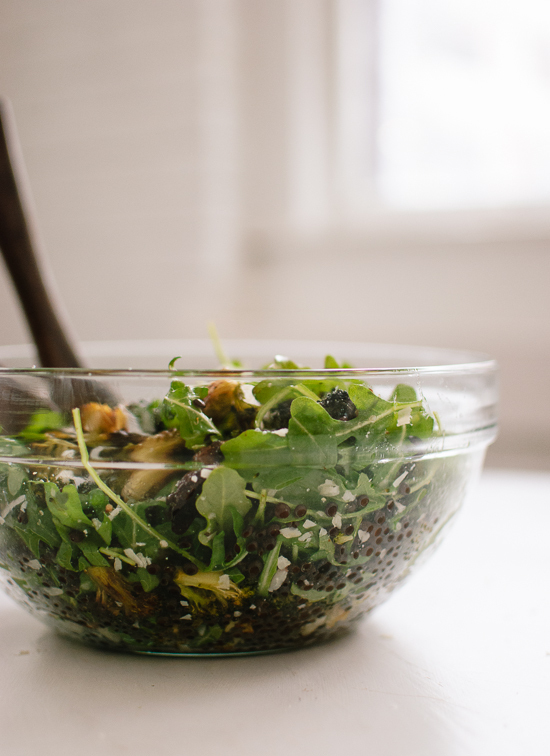 Ooooh the lemony lentil salad looks amazing! Brilliant collection, I love lentils. Thanks for all of the ideas! 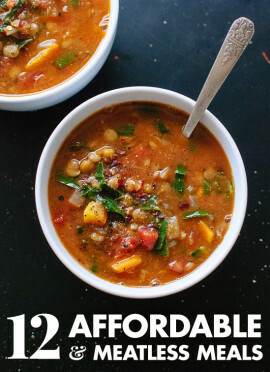 Can’t wait to try that carrot and chickpea soup. My go to way to use beans is a, “any vegetable” minestrone. Mmmmm…. I love your recipes. I just made lentil tacos the other day, inspired by you! Thanks for the creative, healthy recipes! 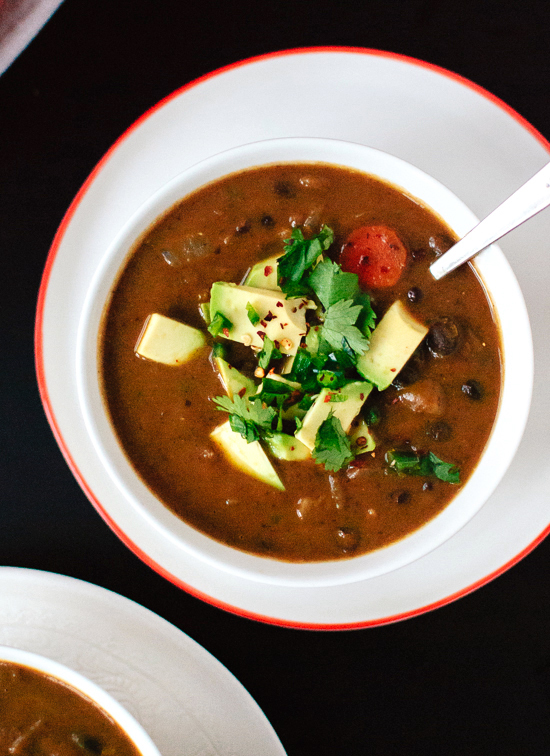 In India, we eat a lot of lentils, but having it as one pot hearty meal soup was great. Thanks. Thanks for all recipes!!! I’m interested in Roasted Carrots! My family love it very much! 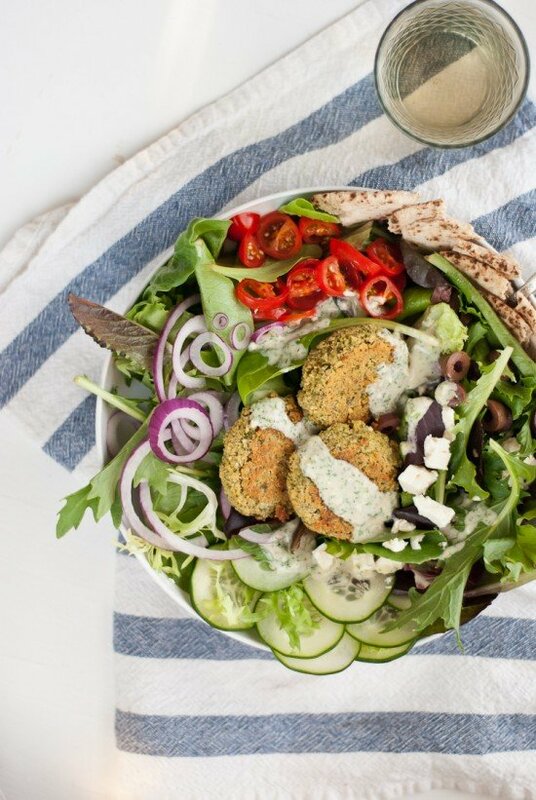 Thank you for making healthy eating easy to prepare. Your pictures make everything look tasty and healthy. I started off with your Crispy Tofu recipe am now hooked on your website. I am working my way through the yummy recipes you create and my family are loving it! Thank you, Tonia! Happy you are enjoying the recipes. Let me know what you think as you make your way through the recipes. Hi Eleanor, I’m sorry for the slow response! It’s hard to say because I can’t find that recipe to look at it. That said, I’d be a little suspicious of a smoothie made with beans myself! I guess I would maybe reduce the amount of beans or up the bananas/berries. Hope that helps somehow! Thanks Kate for your reply. I ended up using black beans and blended them w yogurt, banana, blueberries and ice. I forgot to add flax meal but will do that next time. The beverage was a huge success and SO much better than the Bean Berry Blast. I am working to live by example and eat beans 3x a day. Making small step and changes is the only way I will ever reach my goal.